Allnic: “All Nickel”, refers to the in-house built 78% Nickel content output transformers. These have a 12-to-1 cost difference to build and are a big part of the performance, wider bandwidth, faster energy transfer. – David Beetle of Hammertone Audio, North American Importer. So what does this have to do with audio? I just want to disabuse you of any prejudice against a Korean product, excepting virtually anything made in the North. The guys at Honda and Toyota are probably not afraid of an American automotive Renaissance, but they might be afraid of Hyundai. The high-end must take note, too: there is great product coming from Korea, and it can compete with the established brands in the West. The L-1500 preamp is described by Allnic as a budget version of the L-4000, one of the finest preamps I have had the opportunity to listen to. They both offer balanced inputs and outputs, but the two use different tubes and the build quality of the L-4000 is better. The million-dollar question is how similar the two will sound. There is an inconsistency between the manual provided with the unit, and the website. The website specifies D3a or equivalent, but the manual specifies E810f or equivalent. Thing is, the D3a and E810f are quite different. It’s not like the 12AX7 versus 5751. It’s not like swapping a 6922 for a 7308. The two sound and behave quite differently. The unit came with gold pin E810f (not D3a). Wanting to roll ‘em, I pulled out some D3a and E180f tubes. The short answer was: run the E810f, they are much quieter, with better dynamics and frequency response. The E180f is too dissimilar to the E810f to be a valid alternative. The E180f was very microphonic, lacked life and made the L-1500 sound like a Dynaco PAS. Not good. The D3a did sound better than the E180f, but was noticeably inferior to the E810f. Unlike the popular audio tubes like the 12au7, 6dj8, 6sn7 and 12ax7, this unit isn’t going to be much fun for an addicted tube roller. Just buy high quality matched E810f and enjoy. By the way, I had an NOS set that looked identical to the tubes shipped with the Allnic, but were labeled differently. Both were made by Mullard, I think. I am not aware of any different E810f makes, so I didn’t get a chance to try any. It was interesting hearing the L1500 and comparing it to its big brother. 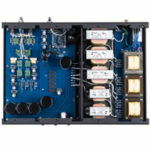 Though Allnic calls the 1500 a budget version of the 4000, the two really sound quite different. The 1500 has a softer top and bottom, a little less resolution, with more of a classic tube sound than other Allnic pieces I’ve used. I would describe the 1500 as mellow, with good bass, timing, and dimensionality. It’s not a bad thing to be mellow. On a good number of albums, the mellow sound of the 1500 helped smooth over less-than-perfect recordings, some which were threadbare and ugly with the 4000. If you’ve heard the 1500 or the 4000, but not both, you should hear the other unit. The 1500, in the right system, might be a better match for a bright system. 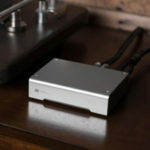 On the other hand, the two Allnic LCR phono stages share the same basic characteristics, with the more expensive of the two having better purity and frequency extension. The L1500 was a dream when it came to input and output impedance. It could drive any amp I tried, including transistor amps from Sanders Sound Systems, and the AP2300AX Amplifier from Jaton. It goes without saying that it will work with any tube amp, which it did. 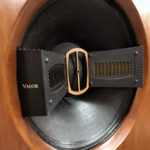 The success must come from the use of the transformers, which steps the high impedance of a tube down to 150 ohms which will work with transistors and tubes without loss of dynamics or bass. Another benefit of using transformers was an almost total absence of hum. Used correctly, transformers break ground loops (or prevent them) and isolate one component from another. The more I know about transformers, and the more I hear designs that use them, the more I think that they are the best way to go about assembling a system. They can match impedances, provide amplification, output an almost perfect push-pull drive, break ground loops, and because they are passive, they have almost no distortion. This is assuming a good quality transformer though. Cheap transformers are what gave them a bad name: excess distortion and limited bandwidth. Good transformers are expensive and take skill to assemble. While the transformers were taking care of ground loops and impedance matching, another feature of the L1500 made it one of the least microphonic preamplifiers I have used: the gel sockets. I have used preamps that were so microphonic they doubled as microphones. I suffered through several 6dj8-based units that were fussy about what tubes were used in the phono section. Choose the wrong ones and the slightest touch would generate a “booooonnnnngggggg”. The microphonics gave music a harsh and aggressive sound quick to induce listener’s fatigue. The L1500 seemed to be almost completely immune. From the little I know about tubes, the E810f could be more microphonic than a 6DJ8 because the E810f has a screen-grid in addition to the control-grid. Regardless, it took some serious thumping to generate ringing. The sound of this unit, then, is more of what is absent: noise, hum and ringing. Though there is a warm/mellow/golden character, the detail came through unadulterated. Usually, tube warmth means mushy, gooey, veiled and euphonic. The 1500 won’t be confused for a transistor preamp, but it can reproduce detail like a transistor design. I like detail, and the 1500 presents it like you hear it live. In person, you can hear detail, but it is natural and integrated into the music. The Allnic pulls it off, just like live music. Jazz and classical had a sonorous quality lacking in transistor designs. I liked the way it dealt with the 45rpm jazz reissues which are getting rather too clean and too pure when compared to the sound intended by the engineer and producer. It’s the wrong place to argue the problems with reissues, but I will say that many are revealing problems with microphones, tape equalization, noise and clipping that were dealt with by mastering engineers with an ear for music and a relation-ship with the musicians/engineer/producer. The Allnic allowed me to enjoy a few reissues that were too analytical with the StereoKnight passive preamp and a balanced transistor unit currently in the system (which is quite good). The detail was there with the Allnic, but the warmth made up for some recording deficien-cies that were about as opposite of live music as you can get. In this way, it made some records more believable. The other “live music” clue is the way a component handles dynamic swings, both small and large. The L1500 is in rather exclusive company because of how it handles micro- and macrodynamics. It has the ability to make you jump. Some components tend to homogenize, but not the Allnic. I think that getting capacitors out of the signal path makes for faster sound. Conventional wisdom was that transformers were worse than capacitors, and that might have been the case when comparing cheap transformers to cheap capacitors. With a good transformer though, music seems better able to “turn on a dime”, making the capacitor coupled competition sound ponderous. The bottom octave of the L1500 isn’t as authoritative as the L4000, or the transistor competition, but compares favorably to preamps like the Audible Illusions, Conrad Johnson, Audio Research or anything that uses 12au7, 12ax7, 12at7, 6sn7, or the other normal tubes with coupling capacitors instead of the L1500’s transformer. The bass performance depends on how it is connected: whether balanced or single-ended. In balanced mode, especially balanced output, but also balanced input, the bass has better headroom, a half-octave (or a third) more extension and better linearity (the curve is straighter sounding). Which leads me to….. The L1500 is two preamps in one. In a purely single-ended system, it plays with more expensive preamps in dynamics, resolution, and imaging. When going full balanced input and output, things are quite different. 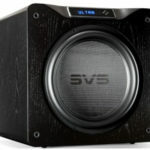 Most of the mellowness disappears, dynamic swings get more oomph, noise level drops, image width increases outside of the speakers and individual images are more precise. 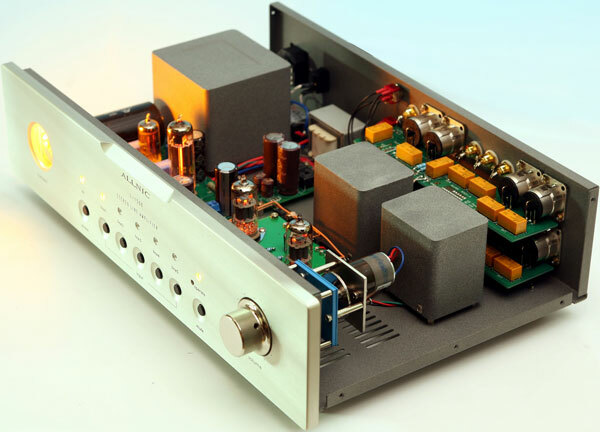 When combined with balanced source and amp, the L1500 operates in an exclusive league that used to be the domain of the “price no object” preamp. I call this progress! It has a sound of its own, one that you may love (or not). Just think of a hybridization of several sounds: the absolute purity of a passive volume control, the power and drive of a balanced transistor design, and the rich golden hues of a Marantz 7. It’s quite unique. So, is it perfect? If I hadn’t heard a few preamps that are even better, I would’ve said that it is. And, I’m sure that there will be even better preamps down the road that will supplant the current state of the art. Change is constant. Progress will always be driven by competition, and there is plenty of competition in high-end audio. As it is, the L1500 is a dandy preamp, and a “must” to audition in this price range. It competes with, and vanquishes, many state-of-the-art designs from five years ago. A final thought about this preamp, and other current designs: They all are approaching a much higher level of performance, one that gets us closer to suspension-of-disbelief (the ability to forget you are listening to a recording and enjoy it like you were there). However, they sound more different now, than at any time in the past. How can we get closer to perfection, but still sound different? I think it is because the closer you get to perfection, the more the warts will stick out. It’s kind of like growing to love a piece of music, only to later hear gaffes as your system gets better. So, this design, like those competing against it, should be auditioned. With the right mix, and depending on your listening prejudices, it might be your state of the art. I have a question, is the Allnic L1500 fully balanced?